The National Assembly and all four provincial assemblies will elect Speakers and Deputy Speakers of the houses on August 15 and 16. The National Assembly held its inaugural session today (Monday) as newly elected MNAs took the oath. 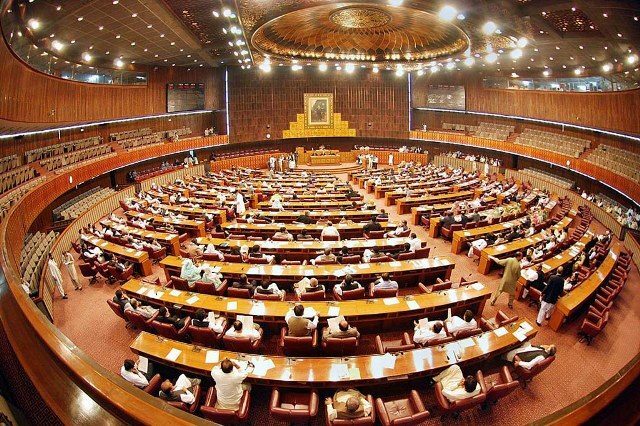 Lawmakers were also sworn in in the Sindh, KP and Balochistan assemblies, whereas the Punjab Assembly is scheduled to meet on Aug 15 (Wednesday). In the next phase, the elections of Speaker and Deputy Speakers will be held in the National Assembly and all four provincial assemblies through secret ballot. The Parliament’s lower house will elect the prime minister on Aug 18. The speaker and deputy speakers’ election will be followed by the Chief Ministers’ elections in all four provincial assemblies. For the post of Speaker, the PTI has nominated Asad Qaisar whereas the joint opposition has fielded Syed Khursheed Shah against Qaisar. For the slot of Deputy Speaker National Assembly, the PTI has named Qasim Suri whereas the joint opposition has yet to nominate its candidate against him. The National Assembly, the Sindh Assembly and the KP Assembly will meet on August 15 whereas the Punjab and Balochistan assemblies will meet on August 16. In Punjab, the PTI has named Pervez Ilahi as candidate of Speaker and Dost Muhammad Mazari as Deputy Speaker. The PML-N has named Chaudhry Iqbal Gujjar for the speaker. The party has nominated Hamza Shehbaz Sharif as its candidate for the post of Punjab Chief Minister. In Sindh, Siraj Durrani and Rehana Laghari are the candidates for Speaker and Deputy Speaker slots. In KP assembly, where the PTI is in comfortable position to form the government, the party has nominated Mushtaq Ghani and Mehmood Jan for the posts of Speaker and Deputy Speaker. The joint opposition, led by MMA, has nominated Laiq Muhammad Khan of the Awami National Party as candidate for Speaker. In Balochistan Assembly, where most of the seats were secured by Balochistan Awami Party, the candidate for the Speaker is former Balochistan chief minister Mir Abdul Quddus Bizenjo. There is a deadlock in talks between PTI and BAP on the nomination of Deputy Speaker.